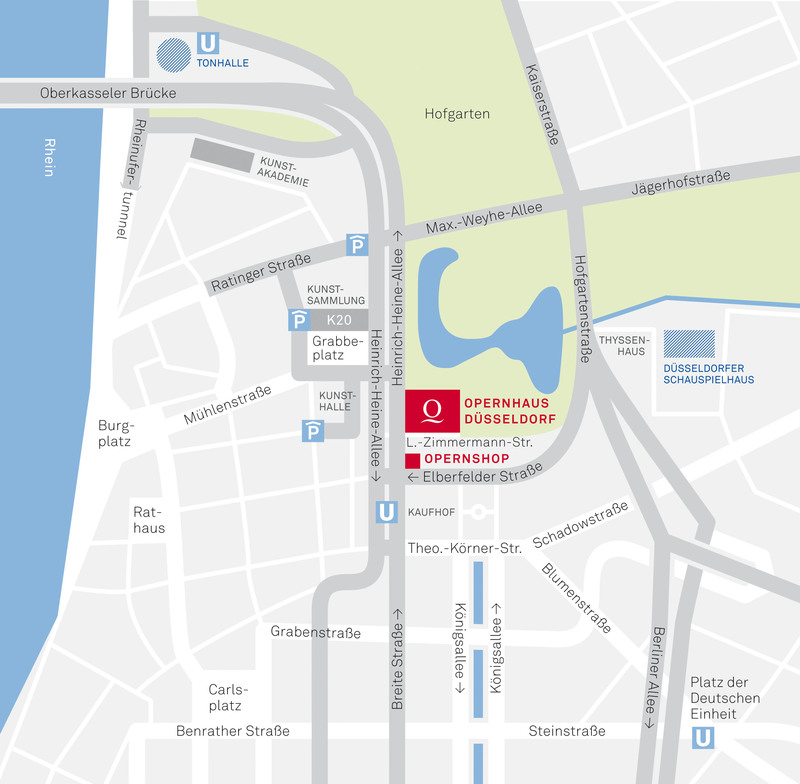 The opera house is three underground stops away from Düsseldorf main rail station. Follow the signs to the city centre (Zentrum) and the park guidance system for the historic centre (Altstadt). 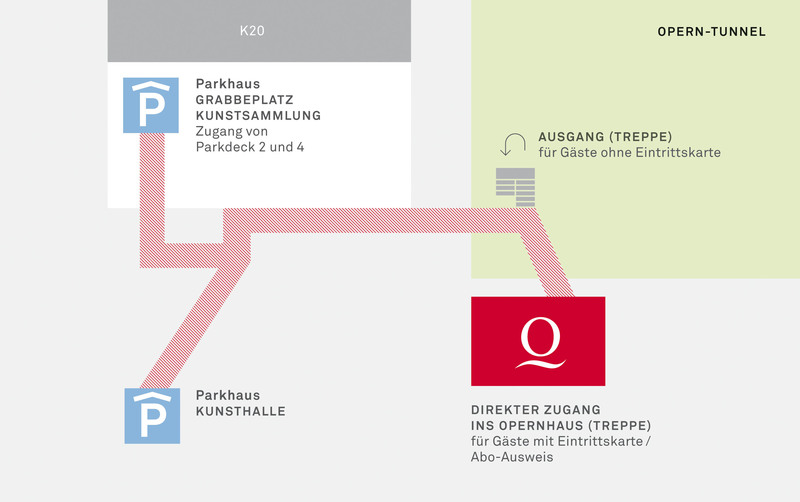 The parking blocks on Grabbeplatz and at the Kunsthalle are very close and offer a theatre lumpsum charge of € 3 (maximum stay until 1:00 a.m.) – in the course of the evening the parking ticket should be paid for in the machine at the opera house (in the wardrobe area on the left side towards the Hofgarten).